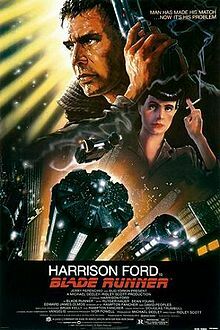 I imagine this project is a few years off since Ridley is still working on the finishing touches of ‘Prometheus’, but hopefully shortly after the press tour is over, everyone will come back to work and get another ‘Blade Runner’ film in the bag. I’m curious to see who will return from the original film, or if it will be a completely new cast. This is good news either way, and I’ve already popped in my ‘Blade Runner’ bluray again. This entry was posted on Thursday, May 17th, 2012 at 6:50 pm	and is filed under Film, News. You can follow any responses to this entry through the RSS 2.0 feed. You can skip to the end and leave a response. Pinging is currently not allowed. « Finally!!! There is a Jewish “Possessed By The Devil’ Movie!!! [narration from Frank's letter to Roy] Dear Roy, You're probably pretty upset. I don't blame you. You taught me most of what I know, so I suppose I owe you better than this. But you always told me if I ever got a shot at a big score, I should take it. And that's what I did. Sorry about the sap on the head, by the way, and for everything else. You always said guys like us can't afford to have regrets about what we do. That's gonna be a little harder for me, but I'll manage. If it makes any difference, you're the best I ever saw. I'd never find a better partner, and now I won't have to. I love you, man. Frank. P.S. Enjoy the gift.